The wedding season is starting up now and I just wanted to share the latest wedding I have catered for. 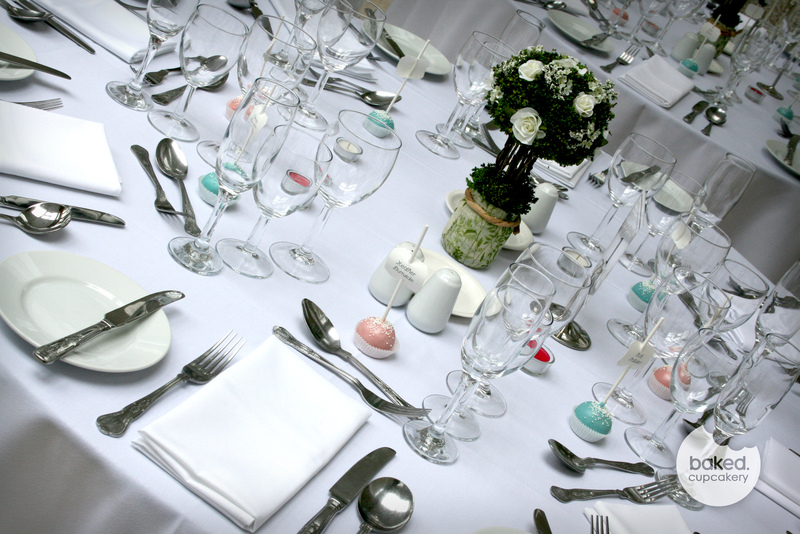 The colour scheme was duck egg blue with dusty pink which looked beautiful when I visited the venue. 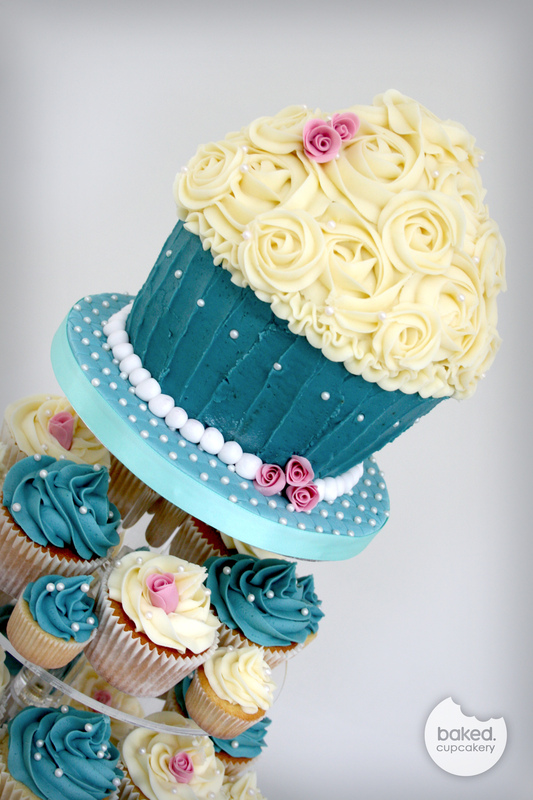 I created a cupcake tower with a giant cupcake topping it off as well as cake pop place settings. 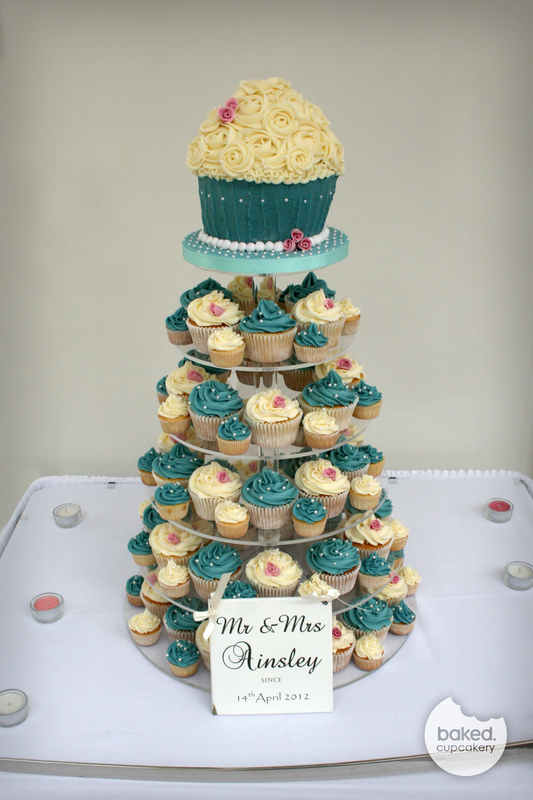 Mini and regular wedding cupcakes on a tiered stand. 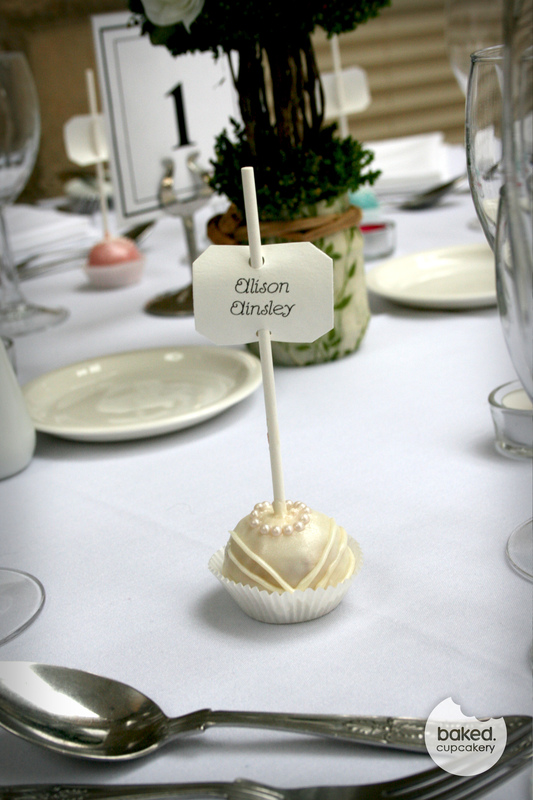 This was the first time I had made cake pop place settings for a wedding and I was really pleased with the results. 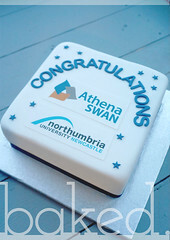 The cake pops were done in the duck egg blue colour for male guests and the dusty pink colour for the female guests. They had mini pearl decorations and a shimmer. 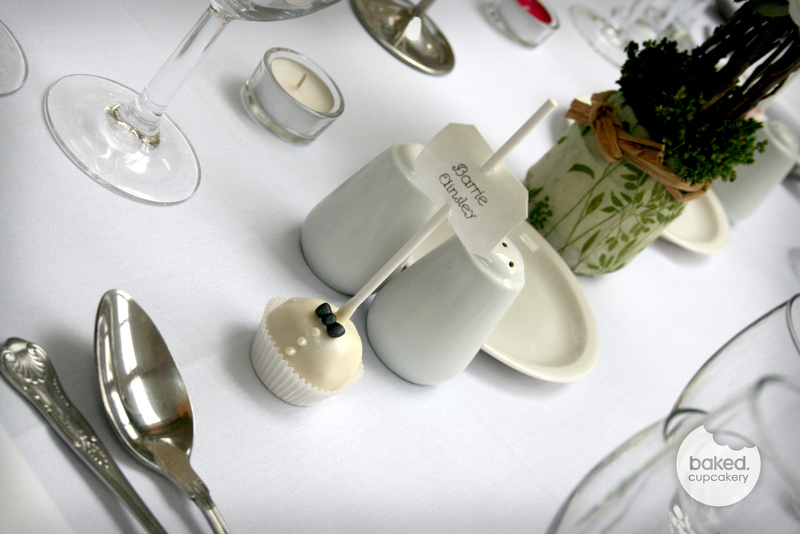 Cake Pops make amazing place settings and favours for your guests – two in one! 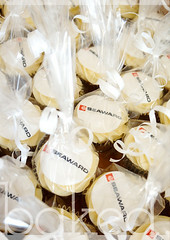 The cake pops look beautiful set out on all the tables. 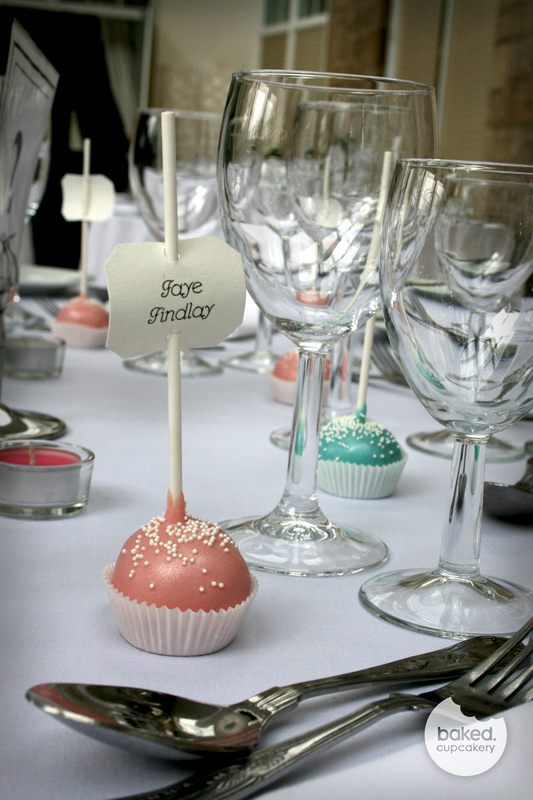 Pink cake pop place setting. 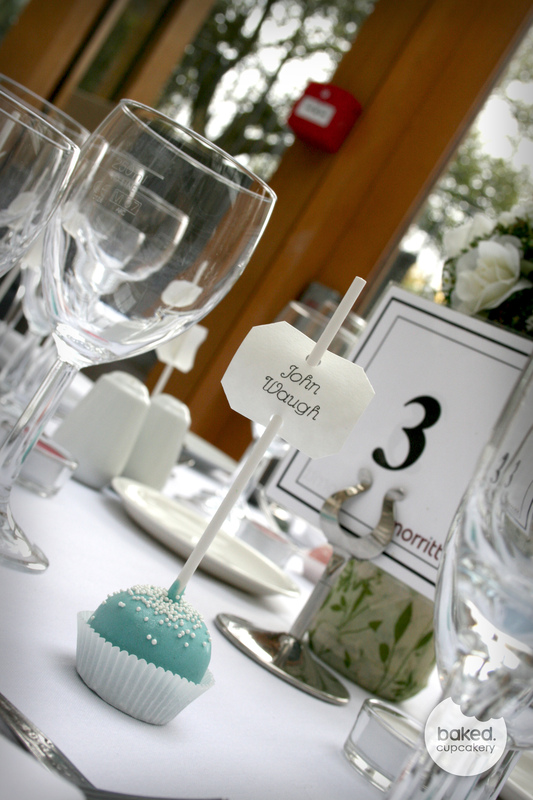 Blue cake pop place setting with pearl details. There was a request to have a special bride and groom cake pop for the bride and grooms table place setting. 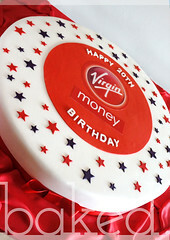 I have seen these before and think they are really cute but I hadn’t had a go myself. I loved the finished pops – think I will be having these when I get married! Belgian chocolate dipped cake pop with pearl necklace detail for the bride. Belgian chocolate dipped cake pop with mini bow tie for the groom. 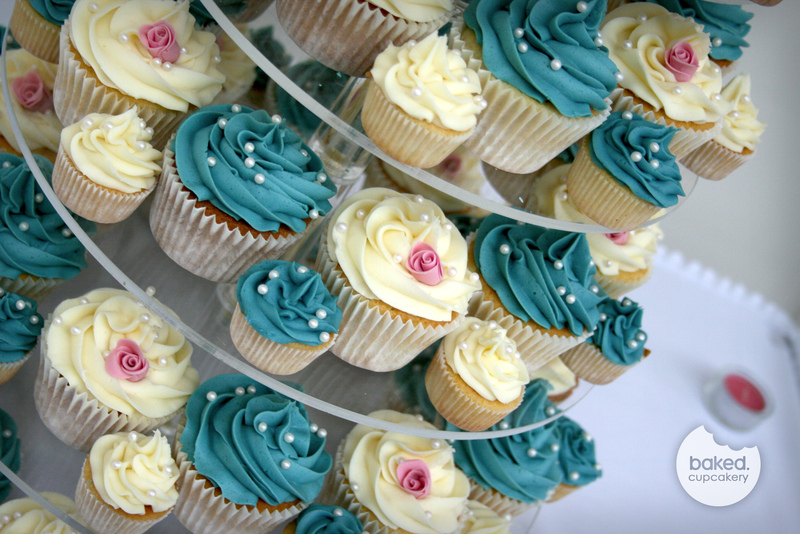 If you would like to see more information on Baked Cupcakery’s wedding cupcakes and cakes, please visit our website!